If you want to keep the edge of your fabric from raveling, you need to cut it with a pinking blade. This OLFA® blade puts those familiar "teeth" on the edge of the fabric, for a look that's both decorative and functional. 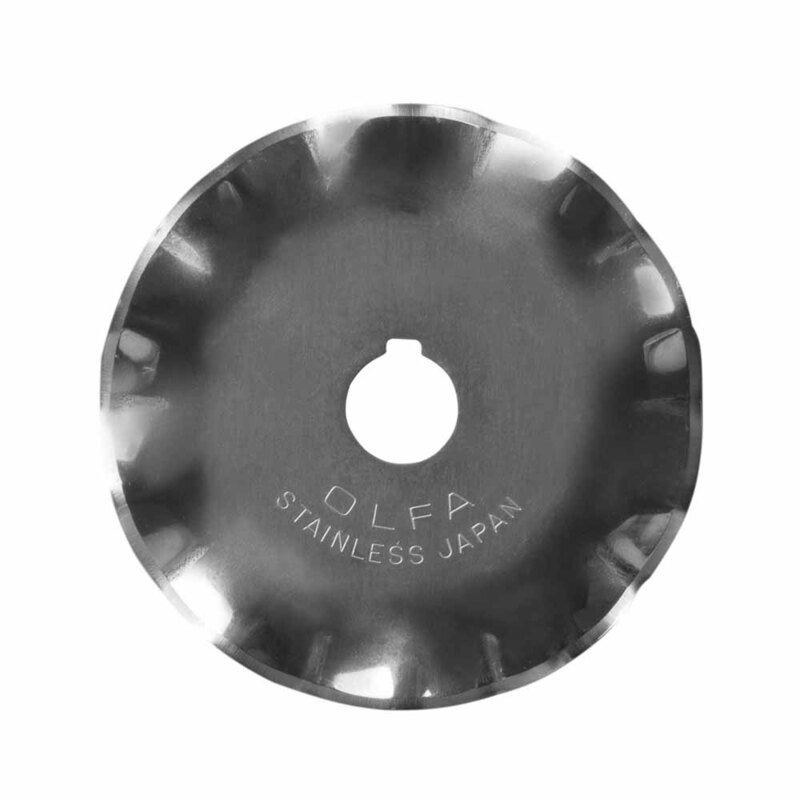 For use only with the OLFA® 45mm deluxe rotary cutter (3902347). Good For: cutting strips and multiple layers at once. Cuts fabric, paper, tarp, vinyl, upholstery and more. 45mm blade. Made from high-quality stainless steel. Includes carrying case.